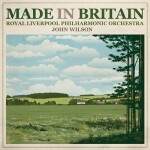 Shortlisted in 2007 for the prestigious Royal Philharmonic Society’s Conductor’s Award, John Wilson has established an enviable reputation as a conductor, arranger and scholar, recognised internationally as an expert in the specialist fields of light music, jazz and music for screen, as well as a passionate advocate of British music. He is a principal conductor of the Northern Sinfonia while working on a regular basis with the Royal Liverpool Philharmonic, City of Birmingham Symphony, Philharmonia, BBC Scottish, BBC Symphony and BBC Concert orchestras. He is principal guest conductor of the RTÉ Concert Orchestra in Dublin, has conducted the Lahti Symphony Orchestra in Finland on several occasions and has also worked in Germany, Sweden, Denmark, Norway, Iceland and Bulgaria. 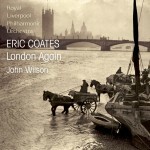 In 2007 he made his BBC Proms debut in the Royal Albert Hall, televised on BBC2, his Australian debut in Melbourne and Adelaide and his London Philharmonic debut at the Royal Festival Hall. He had a triumphant return to the BBC Proms in 2009 conducting his own orchestra in a programme celebrating 75 years of MGM musicals, televised live on BBC2, watched by 3.5 million and repeated three times, now released on DVD. They returned to the Proms last August in a highly acclaimed Rodgers & Hammerstein concert, also televised on BBC2, toured the UK in November and Swingin’ Christmas was broadcast on BBC2 on Christmas Day, repeated on New Year’s Eve. In 2010 John Wilson made his operatic debut with Gilbert & Sullivan’s Ruddigore at Opera North and toured the UK again with the production in autumn 2011.